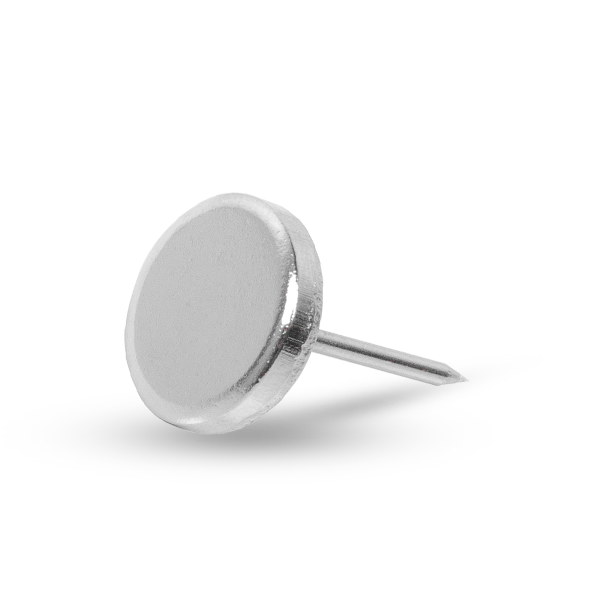 The Flat Metal Pin has a grooved 16mm pin shaft and a small, flat pin head for use with just about all magnetic security tags. The low-profile head does not interfere with try-ons of shoes and other soft goods merchandise. At any stage, security can be dramatically upgraded by replacing this pin with the addition of our ink filled pin. Nothing stops a professional shoplifter like this ink pin.